Who are the Bedouin becoming in international law? 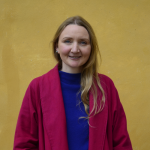 Emma Nyhan, a PhD candidate in the Department of Law, uses her doctoral research to unpack the ways in which internationally-generated concepts and categories are made active and effective in context. In this episode of EUIdeas, Seetha Menon, Caterina Guidi and Ileana Nicolau discuss the complexity of migration and people on the move. GlobalStat is a public information tool which collects data through collaboration with more than eighty International institutions and entities, including the IMF, OECD, Transparency International and the World Bank. 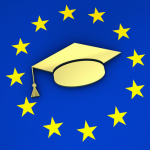 The project is based at the European University Institute and, in particular, benefits from the EUI’s Global Governance Programme’s research. It aims to create transparent and accessible information on developments in a globalised world. 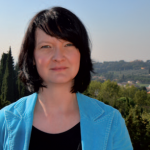 Political scientist Gaby Umbach is director of GlobalStat at the Robert Schuman Centre for Advanced Studies. Andrew Geddes took up the Chair in Migration Studies and role of Director of the Migration Policy Centre (MPC) in January 2017. 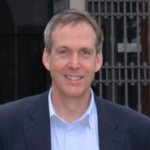 His current research, supported by an Advanced Investigator Grant from the European Research Council, focuses on inter and intra-regional comparison of migration governance with a focus on Asia-Pacific, Europe, North America and South America. He is also a speaker at The State of the Union 2017. 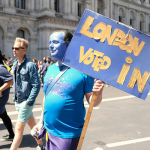 Whether one thinks that referenda are good or bad for Europe, they have certainly challenged the assumption that national electorates favour the European project. This articles talks with four experts recently at the for a Robert Schuman Centre workshop about the challenge referendums pose to the EU. 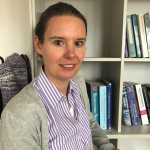 Professor Michele Belot joined the Faculty at the Economics Department of the EUI in January 2017. As an applied economist, she has made a career working on policy-relevant interventions to improve people’s health. 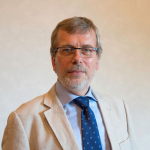 Professor Renaud Dehousse became President of the European University Institute on 1 September 2016. 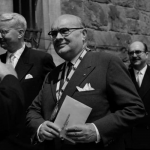 At the end of the EUI’s 40th birthday celebrations, where does the President place the EUI in the landscape of European higher education, and what plans does he have for the future? Leaders in Brussels ‘are not looking at the 46.6% of Austrians who just voted for the Freedom Party or the fact that Marine Le Pen has consistently been the only French politician polling in the double digits,’ Woods warned. ‘If you are going to lead, you need to be right in the middle of a group, to mobilise them,’ she said. Yet the shock of Brexit and the anti-establishment, anti-immigration discourse which continues to dominate political news-cycles suggests that democrats are failing to connect with their electorates. 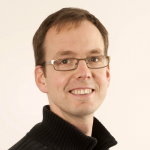 Professor Philipp Kircher joined the Faculty at the Economics Department of the EUI in January 2017. Although he describes himself as a classical economist in terms of the methods he employs, his research subjects, such as unemployment and even diseases like HIV/AIDS, are compelling for their real-world effect on human life.